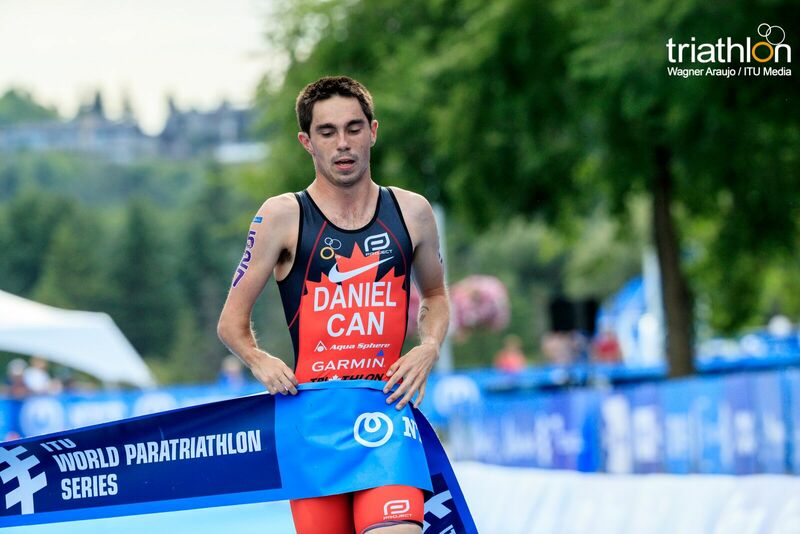 EDMONTON—Canada’s Para-triathletes successfully defended home turf with a four-medal day at the World Para-triathlon Series in Edmonton on Friday afternoon. Paralympic silver medallist, Stefan Daniel (Calgary), stormed to his first victory of the season in the men’s standing divison, while Jessica Tuomeala (Sault Ste. Marie, Ont.) and her guide Lauren Babineau (Victoria) celebrated their first career WTS victory. Canada’s rookie on the para-triathlon scene, Kamylle Frenette (Dieppe, N.B.) captured a silver medal, while Jon Dunkerley (Ottawa) and his guide James Cook (Victoria) rounded out the podium for the Canucks in third.